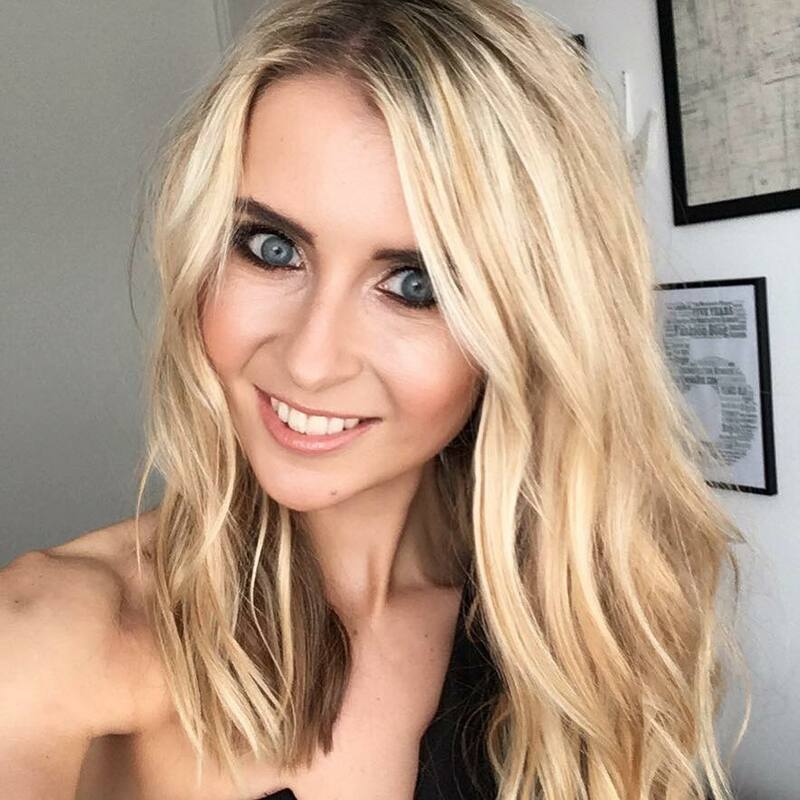 It was only when I headed over to Australia two years ago that I actually developed a new found love – and that was for sushi. I’m not too sure why I never experiment with it before… I mean, I like rice. I like fish. I like veggies. I like all the little ‘squishy’ bits, like avocado and cream cheese, and all the other bits that can go into sushi. I guess all that matters now is that I started eating a lot of it other in Australia, and now I am fully addicted. 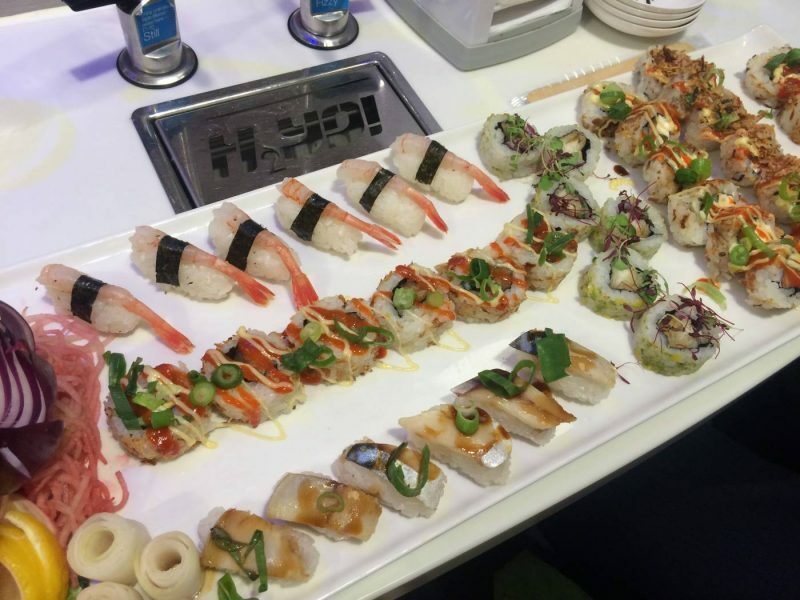 I’d even go as far as to say that sushi is pretty much my perfect lunch. My personal favourite sushi dish is the simple and classic sushi rolls, so I was more than excited to see lots of new additions of these packed into the new menu. I was there for an hours sitting, so I obviously didn’t get to try everything, but some of the rolls that impressed me in which I did try out were the Ginza, Dynamite and Fish-no-chips rolls. The Ginza is made up of smoked salmon, cucumber and cream cheese crammed together, with a topping of caviar for crunch and teriyaki and sriracha for flavour. The spicy sriracha and the creamy texture of the soft cheese worked together fantastic with the smoked salmon and rice combination – truly flavoursome. I’m also a huge fan of battered fish, so the fish-no-chips addition featuring a simple fish roll was a nice touch. This one didn’t really have a kick, so it would be a good choice for the sushi virgins so to speak. As for the Dynamite, this simple salmon and avocado roll is given an update with chilli oil and sriracha mayo, adding that ‘kick’. 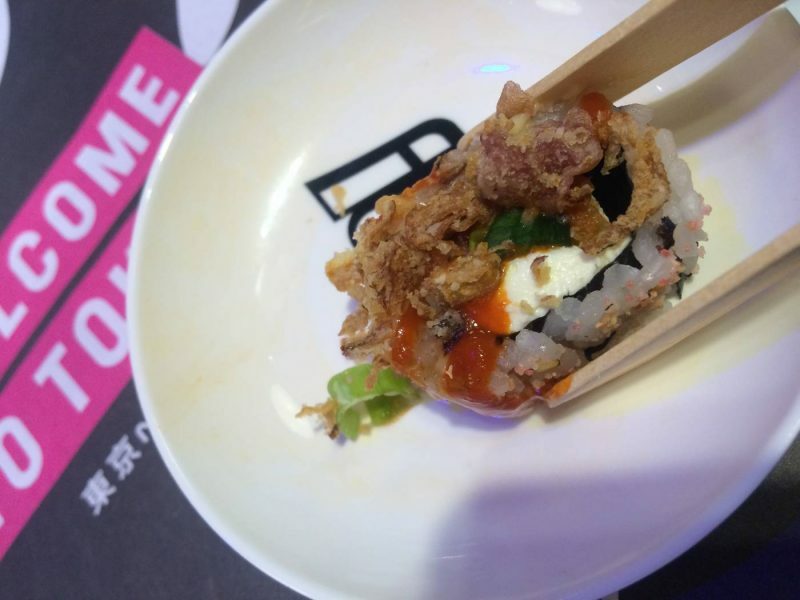 Two other new additions are also fairly simple dishes, but work really well for those trying out sushi, and should also impress the die-hard sushi lovers like myself. 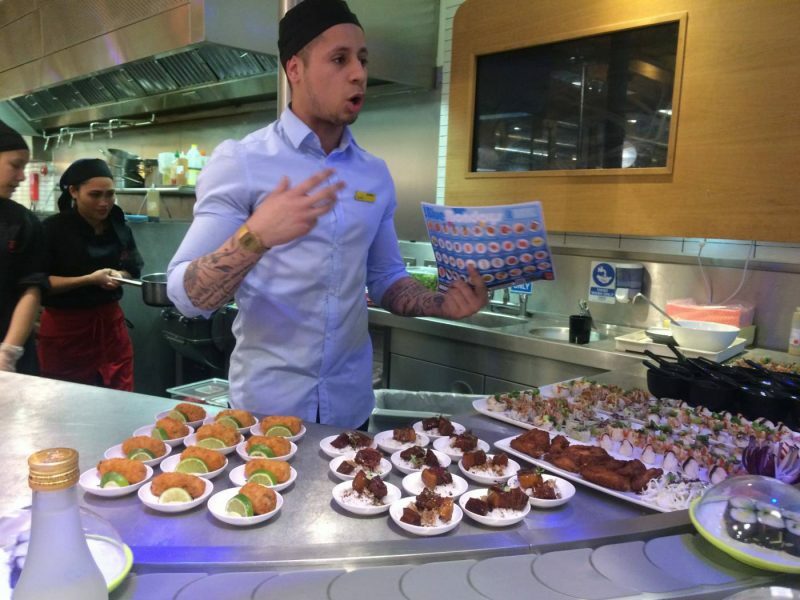 They featured the original bed of rice, one version topped with a large prawn, the other with smoked mackerel. The mackerel was my favourite, complete with a delicious sweet teriyaki glaze. 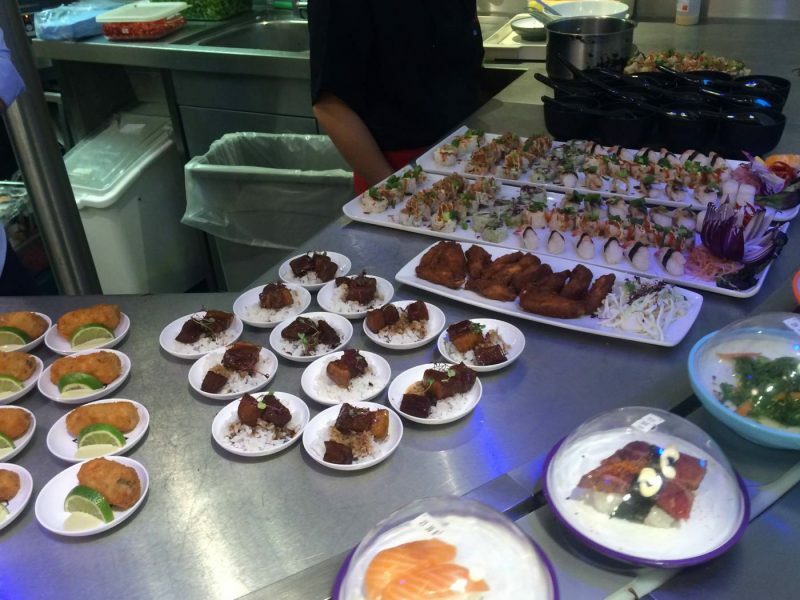 As you can see from the above, a couple of these rice and fish options above make the perfect meal. However, I was really impressed to see such effort and intricacy with the toppings. 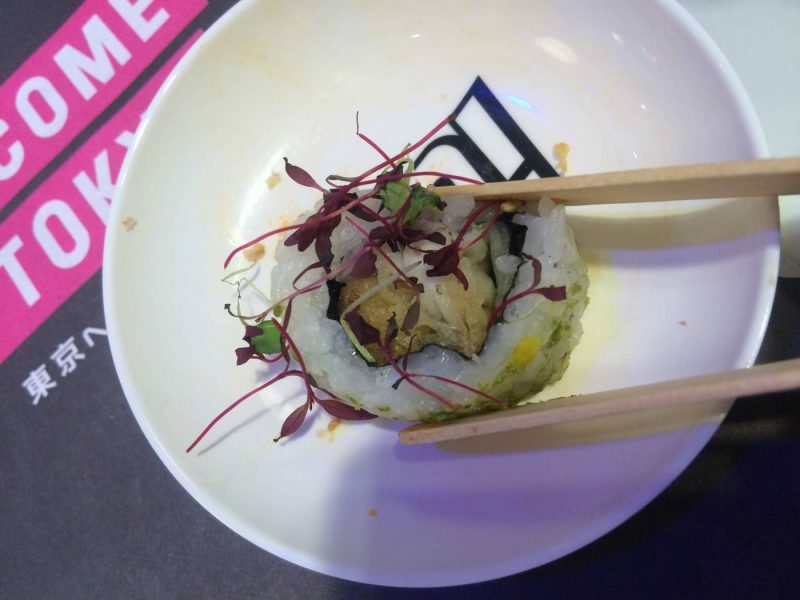 I felt like each individual roll was drizzled with a unique sauce or crispy coatings/sprinkles, adding crunch, texture and flavour. Other new delights I tried out included boneless chicken wings, which are a great street food classic, a pork belly dish (not really a pork fan so I had to skip this one) and a broth type dish, called the chazuke. This was a really substantial little bowl packed with all types, mixed together for a warm meal. The delicious broth was filled with rice, nori, Japanese citrussy chilli paste and two types of fish (salmon was one of them). It was a little bit of a ‘mish mash’, but tasty and interesting all the same! From all the new and delightful dishes I got to try, I did have one firm favourite. 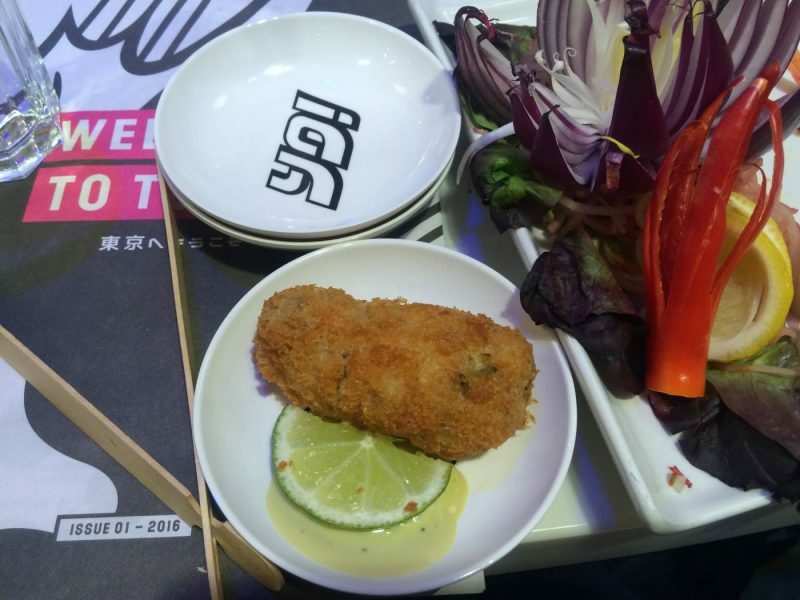 It was kind of a cross between a potato croquette and a large piece of chunky fresh tuna, fried with breadcrumbs. I found out it is called a maguro katsu, which also features a squeeze of mayo inside too for that extra creamy taste. I was surprised at just how ‘meaty’ and chunky it was – so much tuna crammed inside. Finished with a little bit of lime, this was a dish I’d come back for next time for sure. 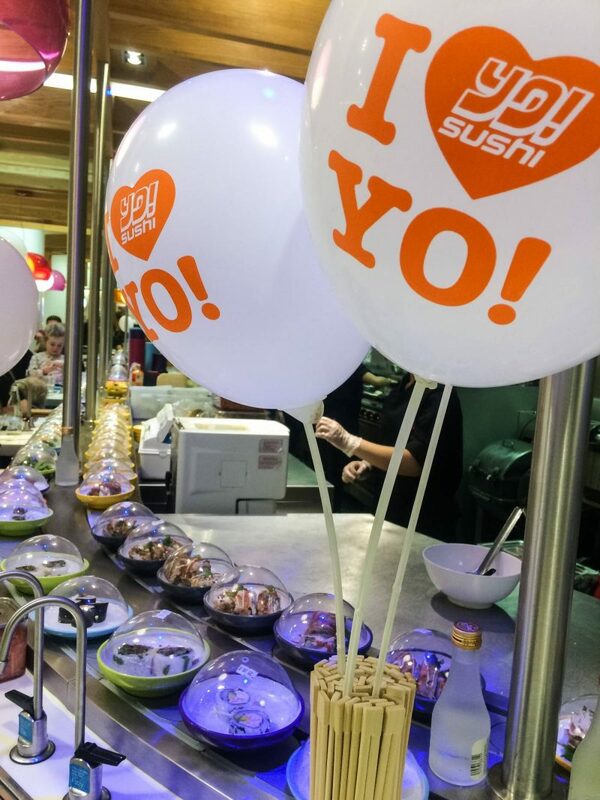 If you are a sushi fan but haven’t visited a chain sushi place such as Yo Sushi for a while, it’s worth bearing in mind the street food update and the new Spring menu’s. 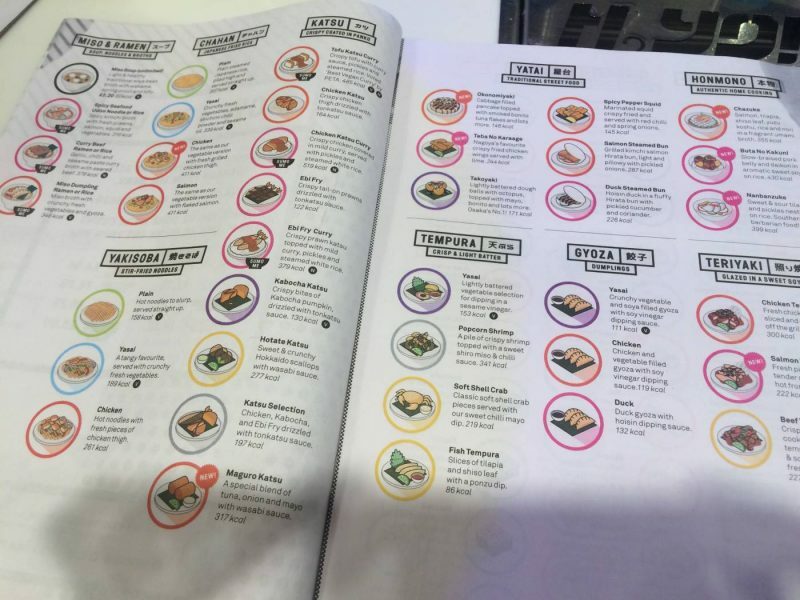 Browsing the menu made me realise I really should venture out for sushi more as a meal option, especially when in the Trafford Centre. 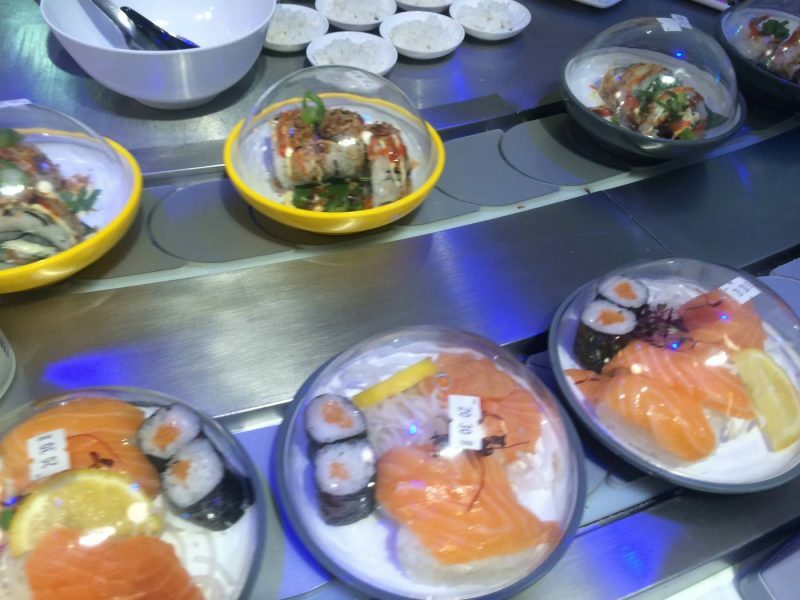 Despite being a sushi fan – I’ve never actually tried Yo Sushi.